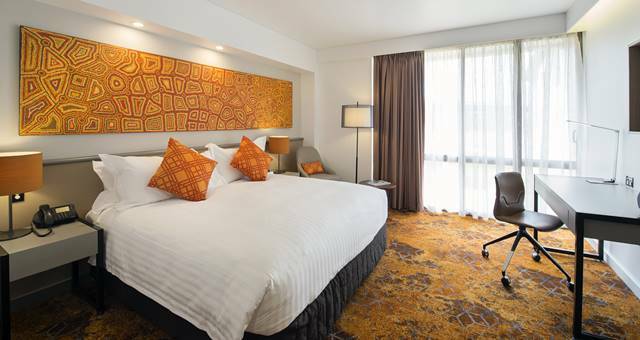 Crowne Plaza Alice Springs Lasseters completed the final stage of its refurbishment. 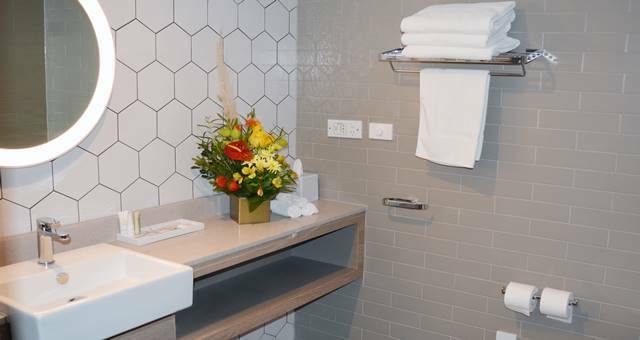 139 guest rooms have been modernised with refreshed tiles, carpet, furniture, cabinetry, fittings and artwork, while bathrooms have been updated and now feature modern décor, a spacious walk-in shower and illuminated vanity mirrors. The new design reflects the Central Australian landscape, with vibrant oranges and earthy tones coming together to create a contemporary and comfortable space for travellers to unwind. 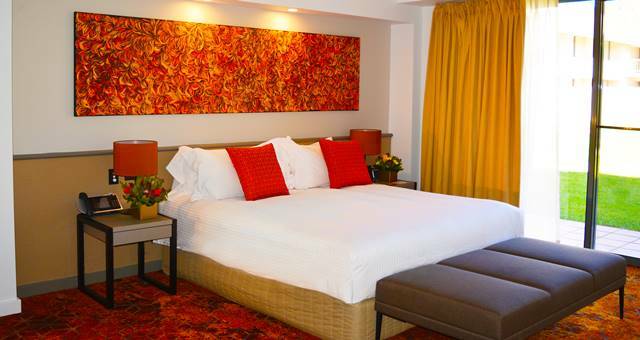 Rooms feature a mix of indigenous paintings and prints of local landscapes, created by local indigenous artists. These paintings join the renowned ‘Lasseters Collection’, now comprising more than 150 pieces of indigenous art designed for hotel rooms at the hotel. Crowne Plaza Alice Springs Lasseters’ General Manager Stewart Manson believes the renovations will be a great way to attract more tourism. “The new rooms look fresh and pay homage to our brilliant and unique location. There really is no place quite like Central Australia. The completion of the renovations will deliver new and larger conferences to the region and this intern will boost the local economy,” he said. Almost two thirds of the $6.25m renovations were completed by local builders, suppliers and artists, supporting local business. The hotel attracts tourism to the region by positioning Alice Springs as a destination for conferences and exhibitions, and with premium products and amenities for the tourism sector.